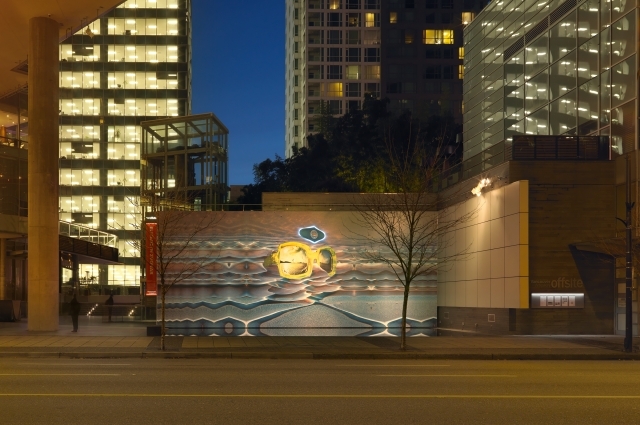 Offsite is the Vancouver Art Gallery’s outdoor exhibition space in the heart of urban Vancouver that offers a rotating program of innovative public art projects. Offsite serves as a locus for local and international contemporary artists to explore issues related to the surrounding urban context and respond to the changing social and cultural conditions of our world. As the latest addition to Vancouver’s dynamic public art program, Offsite is unique in the temporary nature of this space. 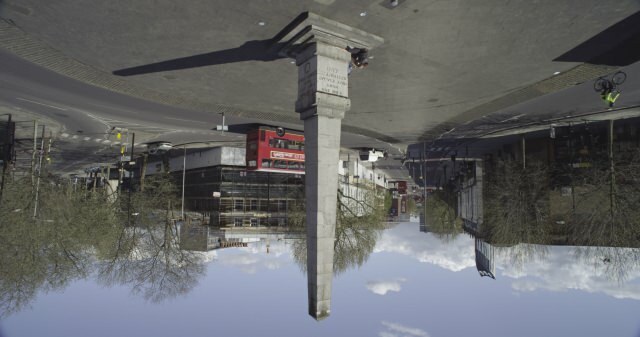 Since the launch of Offsite in 2009, artists have responded in dynamic ways to the specific nature of the site. The resulting new commissions have reflected these varied responses: O Zhang’s highly colourful photographic portraits of young Chinese girls as the next generation of empowered citizens (Horizon (Sky), 2009), Ken Lum’s reminder of contested local histories (from shangri–la to shangri–la, 2010), Heather and Ivan Morison’s quest for alternative architectural models (Plaza, 2010), Elspeth Pratt’s spatial transformation of the site (Second Date, 2011), and Kota Ezawa’s representation of democracy (Hand Vote, 2012). Offsite is generously supported by Michael O’Brian Family Foundation.